Learn how to download Brother HL 5450DN Driver from Internet? 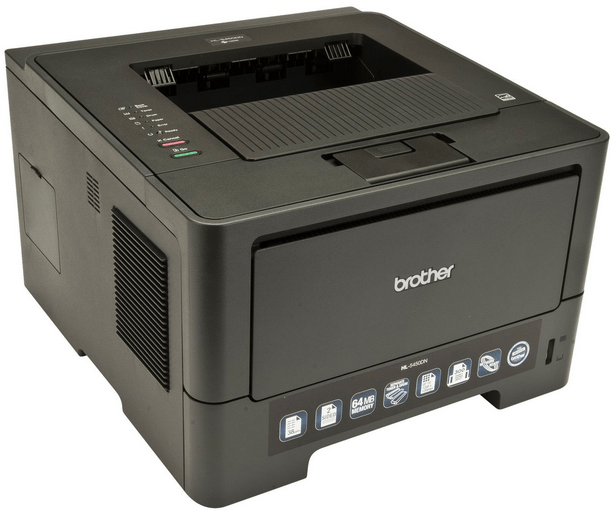 Just like the previous models from Brother, this printer serve either as a shared or personal printer, but it can also handle heavy printing in small or micro offices. The printer also features cloud printing and Ethernet networking, being able to also print fast no matter what your printing needs may be. With a profile of 14.6 inches x 15.1 inches x 9.6 inches (WxDxH) this printer can be easily used in a wide range of environments where space is a concern. Cloud printing services from Apple and Google. Can print using Apple and Android phones. Black and white vertical print resolution of 1200 dpi. Horizontal print resolution of 1200 dpi. Maximum print height and width of 16 in and 8.5 in respectively. Output capacity of 150 sheets. Maximum monthly cycle of 50.000 pages. The toner for the Brother HL 5450 printer is the TN3380 which has a yield of about 8000 pages and has a shelf life of approximately 2 years. Not only is it affordable, but it also does a great job at helping you print high quality images as well. If buying more than one cartridge, it’s recommended for the rest to be kept in a dry and dark place.